Hosted by food blogger Vancouver Foodster, Tasting Plates is a ticketed, self-guided food tour through a neighbourhood in Vancouver that brings guests to participating restaurants, cafes, and food trucks for a taste of what they have to offer. In lieu of dinner at a single restaurant, a tour through Tasting Plates Vancouver offers the sampling of 3 to 4 establishments in one night; most tours are designed with all the stops to be within walking distance of each other. The 7th year anniversary edition of Tasting Plates Vancouver — happening on Wednesday February 6 from 6pm to 10pm — takes participants on a walk through downtown Vancouver with a mixed selection of two South Indian restaurants, a new vegan cafe, and an Irish fast food joint. All participants begin their tour at the new plant-basked bakery BONUS Bakery and Cafe in Coal Harbour — that’s where you sign-in for the event and pick up your Tasting Plates Passports and menus. The remainder of the tour is a self-guided walk to Davie Dosa Company and Mumbai Local on Davie Street, and Donnellan’s Chipper for Irish fast food on Granville. Other than the first stop, you can visit the restaurants in any order you wish and spend as much or as little time in each. I personally haven’t been to any of these restaurants or eateries before so I’m excited to try out a few new places all in one go. Over the past seven years, some of the other themed food walks that Tasting Plates Vancouver has hosted includes Noodlemania, Dumpling Fest, and tours through Yaletown, Chinatown, and North Vancouver. 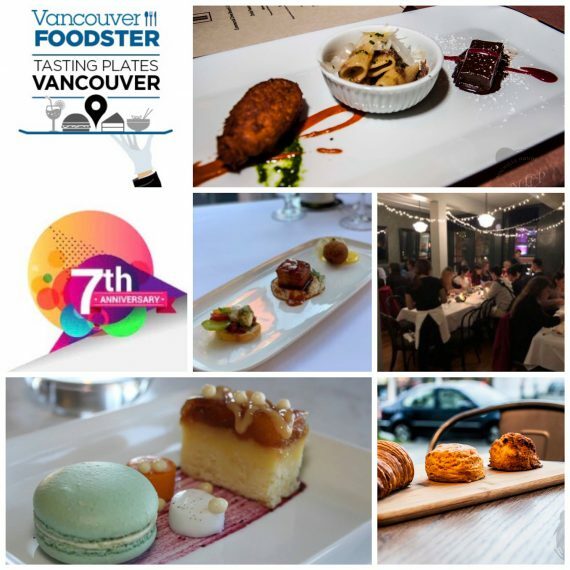 Tickets for Tasting Plates Vancouver (7th Year Anniversary) can be purchased online via Eventbrite. Tickets are $50 per person before February 3, or $60 per person after February 3.